Design is a marketing tool like no other and our approach to design is always based around achieving an objective which is to influence people’s perception of your company, support existing branding or creating a new sales message. When done well, strategic print design solutions have the capacity to make a business or organisation stand out amongst its competitors. People trust consistent branded items and packaging and customers recognise the colours of a brand known to them. Our design department specialises in concepts, prototypes and refining your packaging requirements with your brand image and colors. Everything starts with an idea. Our structural design team has years of experience in turning ideas into reality. 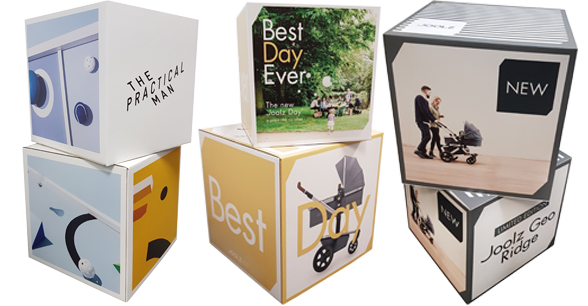 Inbox Group uses the latest design software to create a new concept or design and produce samples and packaging. Our CAD system and CAD technology run machinery that is accurate and fast to achieve great results. Inbox Group has the resources to produce a 3D Computer model of your packaging before it goes to the sampling stage. This can be rotated to see different angles of your custom built design for your approval.Adobe Reader is required to view 3D CAD Models. Inbox Group requires file formats in Adobe Illustrator files, EPS files and PDF files in high resolution for better results. Inbox Group requires that your artwork has a 4-5mm bleed over the external of die line drawing. Adobe Reader is needed for accepting and signing off completed artwork. We need to know the size, quantity, weight of the product, how many you are after, if it is a one-off or ongoing requirement and whether you are after a plain or printed item. We will come up with a solution and then make it happen. We listen to your needs and work with you to deliver the outcome you require.